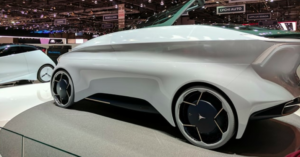 The Italian design company Icona announced its debut at the Geneva Motor Show, unveiling a worldwide premiere: the autonomous driving concept vehicle Icona Nucleus. According to Icona’s press release, the concept Nucleus represents the synthesis of futurism and human-centred mindset. It takes the Icona Neo Concept one step further by reconsidering the very way that we use a vehicle. With its fully autonomous driving level five, the Nucleus does not need a driver, hence there is no need for a steering wheel, pedals and a dashboard, opening an opportunity for a new understanding of mobile living spaces, where the focus is no longer the road but the destination. Beyond its technological innovation, Nucleus also shows the future for the next generation of cars. In the future, mobility will be different, with a large number of shared, self-driving, electric vehicles which will serve as individual or small group shuttles between mass 2 mobility infrastructure and large hub destinations. The car will spend less time parked and will be much more usefully employed on the road. 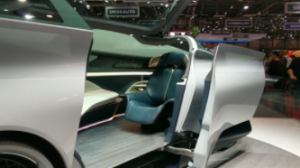 One car will replace several cars and it will be a great place to be, as its use and versatility can be directly reflected in the multiple possibilities of its interior design. The upper glass from windscreen to the complete roof is asymmetrical, divided into fully transparent and semi-transparent glass- The Icona Nucleus looks like a self-moving executive lounge, characterised by a long curvy side line which emphasises the cell nature of the vehicle. In terms of security, the Nucleus protects and embraces its passengers, at the same time offering a stunning view to the outside, thanks to an extremely wide glass surface which constitutes the majority of the upper body. As all car occupants become passengers, their interaction and the individuality of their personal space becomes a priority. The Nucleus can easily accommodate 6 people and seats can be moved or even transformed into a sofa. A small table and all necessary spaces and 3 connections for a laptop are available. The car is electric but Icona did not disclosure its range and powertrain.